This symposium forms part of the 'Uncovering Ethnography in Kent and Sussex' (Uniques) Project, and a Museum Ethnography Group (MEG) Events Programme for 2014. 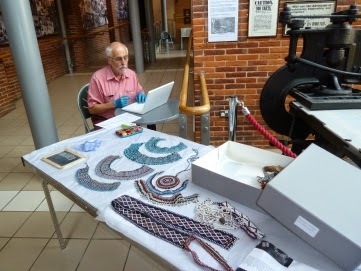 Uniques is a regional collections review and community engagement project with 5 partner museums in Kent and Sussex, led by Bexhill Museum and funded by ACE. The aim of the symposium is to provide non-specilaist staff and volunteers who care for ethnographic collections, with an overview of the main requirements for curating and interpreting these special collections. MEG members and academics and students will also be invited to attend this event, to share skills and find out more about the collections in this region. The symposium is designed to provide an introduction to all aspects of managing these collections, including cataloguing and documentation, preventative conservation, interpretation and engaging audiences. The speakers will share their skills and experience and offer practical guidance and use case studies to demonstrate best practice in the sector. To book a place contact Project Manager, Rachael Heminway Hurst or find out more about the project by visiting the blog. The Horniman Museum and Gardens, like many other anthropology museums, holds vast weaponry collections from across the globe. In reviewing these collections as part of the Collections, People, Stories project (2012-2015) and planning for a potential re-display, we have been confronted with many of the complex intellectual and ethical questions regarding their interpretation and display. used and collected be translated to contemporary audiences? brutality, violence and loss in today’s world? their representation/misrepresentation of cultures as violent? We strongly encourage papers from museum colleagues who work with similar collections from both curatorial and public engagement perspectives, anthropologists working in areas covered by the Horniman collections and archaeologists keen to engage with anthropology collections and debate. · 4 keynote speakers, each addressing a broader social and cultural theme that we wish to explore in depth in museum contexts. "The photographs of our past are like Mayflies*, through light they are created and by light they are extinguished. They appear as shadows and hastily they retreat to the realm of shadows." A shimmering veil of silver settles over the glass negative collection of Vanadis. The once neutral grey-coloured glass plates now have beautiful brown, amber-yellow and purple hues. Some negatives have been dropped and patched with tape, others have been converted to positives. Some have been masked with red paint prior to printing, many have been retouched with pencil. Fingerprints have become etched. Emulsion is flaking. Silver ions reacting to the oxygen in the air. - The water was too warm when Oscar Ekholm was going to develop us in Calcutta! - The grain in the developer did not dissolve, that is why my surface is covered in spots! - The light shone through the gap in the cabin door when I loaded the cassette. - Can you feel my uneven glass edges? Ekholm had to trim me, as I am of course made in inches and his camera requires centimetres! 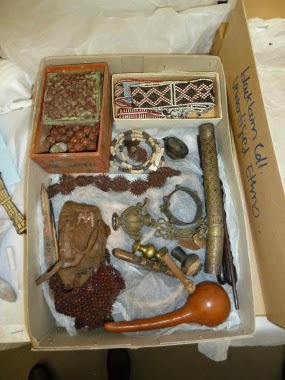 In the past the collection has been stored in many places, perhaps in the attic of the Swedish Museum of Natural History, possibly in the basement of the old Museum of Ethnography. No one recalls for certain. It has been warm. It has been cold. The collection has survived damp summers and dry winters. Time has passed. The negatives have been kept in pergamyn envelopes, regular brown envelopes or just wrapped in newspaper. The printing ink leaving fragmentary words from long forgotten advertisements. 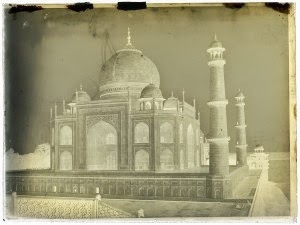 Taj Mahal, India 1885. Scanned glass plate, 18×24 cm. - We were here that day when HMS Vanadis entered the harbour of Nuku Hiva. - The picture maker pulled a black blanket over his head! - We had to stand very still! - I had to be naked. 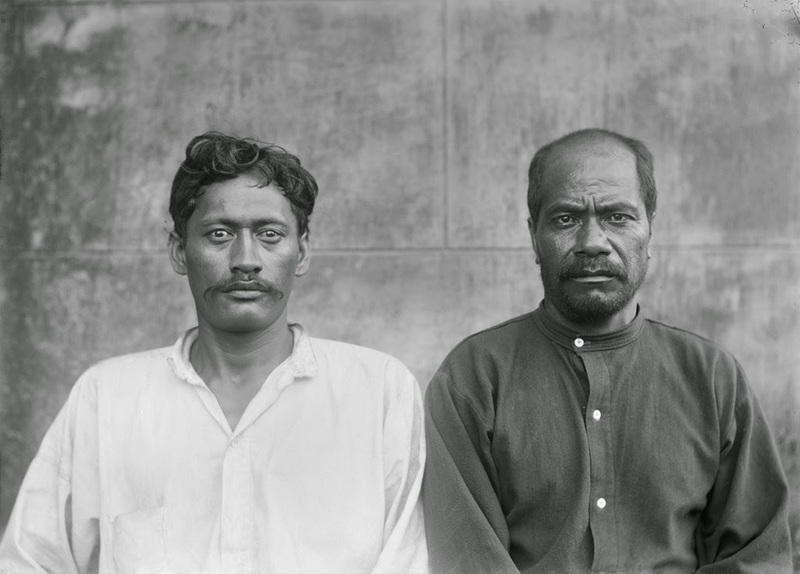 Unknown men, according to the albumen print, photographed in Ancon, Peru, 1884. 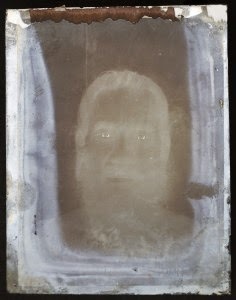 Scanned glass plate, 18x24 cm. The Vanadis expedition sailed around the world between December 1883 and May 1885. The swedish navy's steam frigate HMS Vanadis had a crew of 340 men. On board were also the founder of the Museum of Ethnography, Hjalmar Stolpe, and the photographer Oscar Ekholm. The voyage resulted in over 6,000 collected items and 700 exposed glass plates (mainly 18x24cm, gelatin dry plate negatives). The total weight of the negatives is just over 180 kg. Emulsion peeling off the glass. Building in Japan 1884. 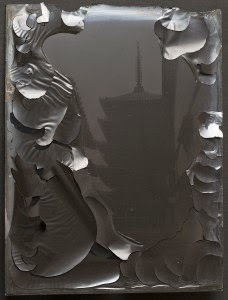 Photographed glass plate 18x24cm. Emma Arenhill works as a Photo Archivist at the Museum of Ethnography and specializes in older photographic techniques. Emma's background is in Human Ecology and Social Anthropology but she also has a degree in Photography. She has previously worked with the photographic collections at the Nordic Museum and National Library of Sweden in Stockholm. * Mayflie: insects belonging to the order Ephemeroptera (from the Greek ephemeros), "short-lived" (literally "lasting a day").